Diagram showing man's position in the universe, 1617-19. 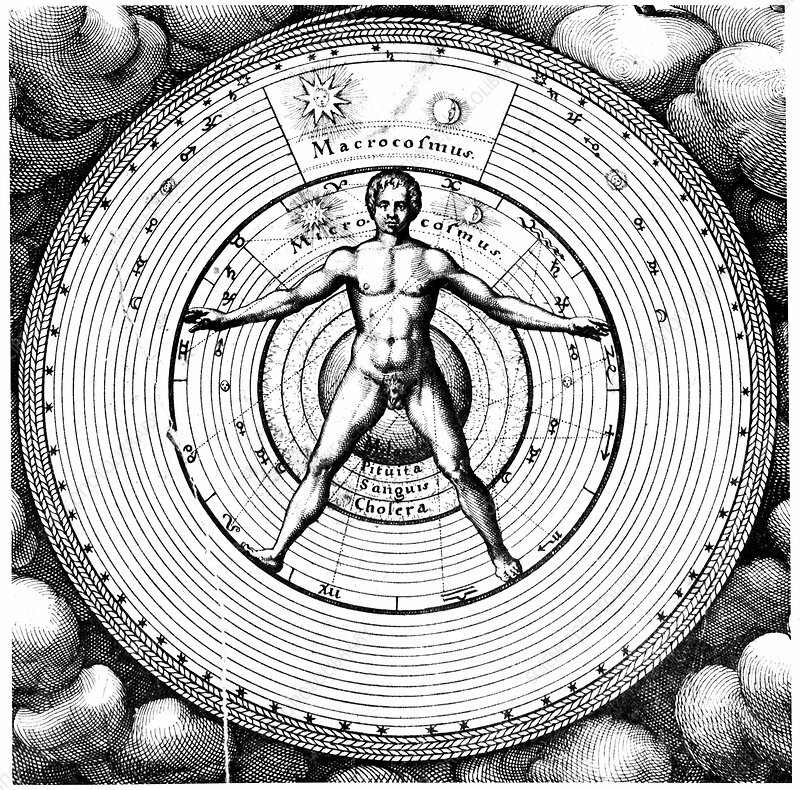 Relation of man (the microcosm), with the universe (the macrocosm), showing spheres of Sun, Moon and planets, the temperaments and hierarchy of supernatural beings. From Robert Fludd Utriusque Cosmi. Historia, Oppenheim, 1617-19. Copperplate engraving. Artist: Robert Fludd.